My main goal in life has always been freedom. I wanted to get away from home as soon as I could, which I did at 18, and I've done all that I could to be independent since. 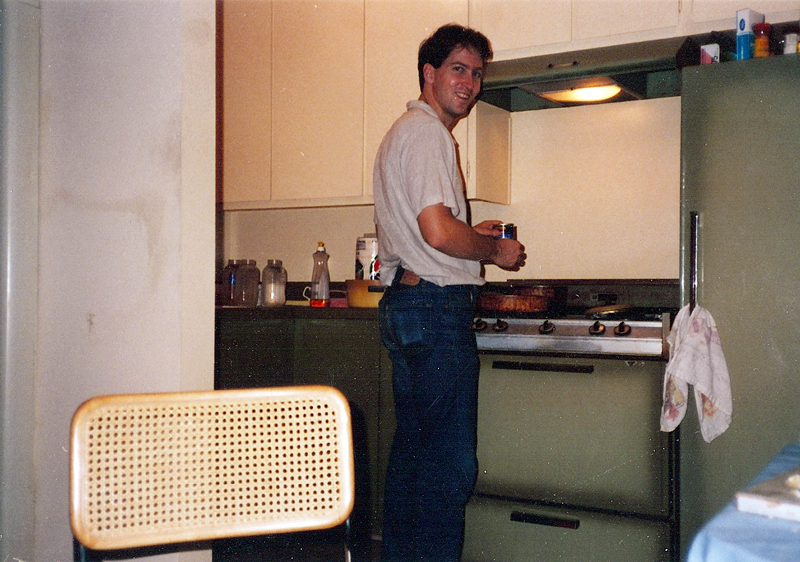 And it included living in some terrible apartments, like the one I had in Canoga Park in the 1980s. Nowadays, living in my suburban Phoenix house, it's hard for people to imagine that I ever lived in these horrible places. They turn up their noses at the neighborhoods where I was in my twenties, and wonder what I was doing there. And it was all about freedom. I didn't want roommates, I've never been married. I wanted to be able to do what I wanted, when I wanted, to answer to no one. While I was going to college I lived alone in a little tiny converted garage, which I made pretty cozy, in a neighborhood that to this day is not exactly something to brag about. Everyone else I knew was living in better places, in better neighborhoods, but they weren't doing it alone. Living alone is expensive. I still have bad dreams about how horrible my apartment in Canoga Park was. 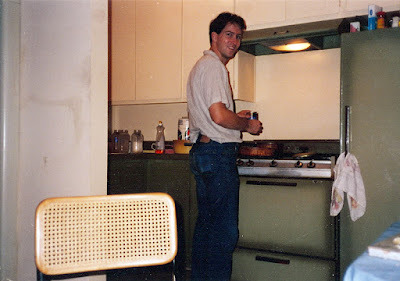 And although I'm standing in the kitchen in the photo, I very rarely ate there. I tried my best to clean up the place, but it was filthy. Cockroaches had taken over the complex, and even though I arranged to have the place sprayed regularly, and kept plenty of cans of roach spray around, I learned that so many of my neighbors were living in such filth that there was really no hope of my not living with roaches. They were everywhere, even crawling on the bed with me sometimes (the roaches, not my neighbors). So I wasn't really alone! I had just gotten a good-paying corporate job in Woodland Hills, and my plan was to get out my apartment in Canoga Park as soon as possible, maybe move to Thousand Oaks, or Agoura. But the department where I worked was eliminated in 1989, and I was suddenly out of a job. I looked around me and decided that California wasn't going to work for me, so I moved back to Phoenix. I was fortunate enough to get a good corporate job there, and in my mid-thirties I bought the house where I still am today. Freedom and independence have always been vitally important to me. Now, as I drift into the second half of what I figure with be over 100 years of life, I think about how hard I've fought for my freedom, and I will continue to do so.